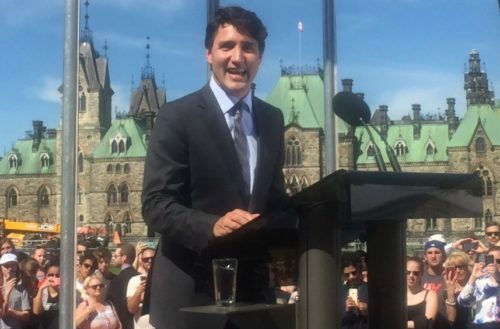 Canada’s hunky Prime Minister Justin Trudeau celebrated Pride Month right by raising the rainbow and transgender flags above Parliament Hill. He promised to tackle the injustices faced by LGBTQ people. Would have been nice if Donald Trump followed suit. Trudeau’s response is vastly different from President Donald Trump’s, who did not declare June LGBT Pride Month and who has yet to hold any ceremonies or events at the White House to commemorate. Instead, Trump did speak at an event full of anti-LGBTQ speakers like Pat Boone, Michael Medved and Ken Paxton. 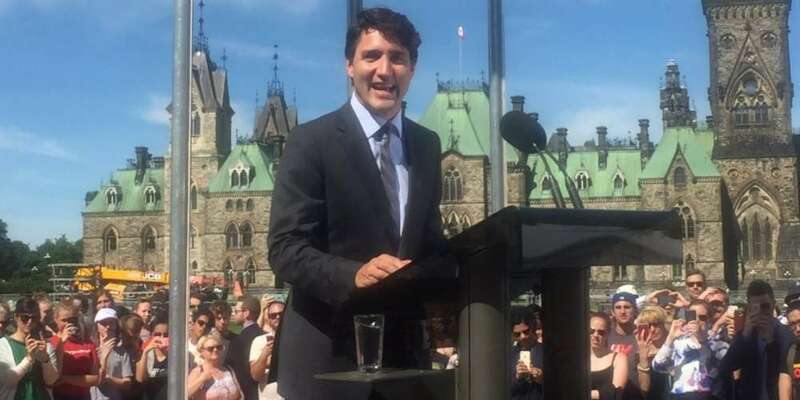 On the other hand, Trudeau was joined by LGBTQ rights supporters and Parliamentarians at the flag raising ceremony, including his LGBT Special Advisor Randy Boissonnault. We hope Trump is watching.